Hey Dad! star Rachael Beck was given a celebratory farewell as she taped her last episode with the long-running series. “I’m very sad to have to say goodbye to everybody, but I feel so happy because I’ve met so many wonderful people, had so many good times and so many great memories that I’ll only think of the good times,” she told TV Week. Beck’s cheerful farewell was in stark contrast to that of co-star Robert Hughes who taped his last scenes a week earlier. 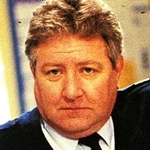 In taping his last episode Hughes was not required on set for the final scene and had vanished from the studio before taking his final bows. Colleagues were left stunned when he failed to appear at a party in his honour. Former A Country Practice star Mark Owen-Taylor has taken on the “dad” role in the series, playing the part of architect Greg Russell who takes over the architecture business from Martin Kelly (Hughes) who has taken a high-paying job overseas. Wesley Patten is a young rugby league star, currently in pre-season training with Sydney’s Balmain Tigers, but is also juggling a fledgling acting career as well as working as a field officer with the Redfern Legal Centre. Patten, who had a recent guest stint in Home And Away, is joining the cast of ABC‘s new drama series Shadows. In the 13-part series Patten plays a young Aboriginal footballer whose brother falls foul of the law. Rebecca Gibney, Lisa Hensley and Jane Hall are among those that have been wooed by the producers of the revived A Country Practice to begin production soon for Network Ten. Gibney is said to have turned down the offer, and Hensley is committed to another series of Law Of The Land for Nine. Jane Hall, formerly of All Together Now and recently a guest co-host on Sale Of The Century, has yet to decide. Actor Brian Wenzel, who played Frank Gilroy for A Country Practice‘s entire 12-year run on Seven, waited days to be contacted by executive producer James Davern after news of the Ten signing had been announced. Once Davern eventually did make contact Wenzel responded with a firm “no”. Melissa Thomas, whose acting credits included Brides Of Christ and the comedy Late For School, is set to join the team of presenters of Ten‘s new lifestyle show, Level 23. Speaking of Brides Of Christ, the ABC is believed to be not too impressed to have seen the show’s producer sell the series for a re-run on Network Ten. Live And Sweaty presenter Lisbeth Gorr (Elle McFeast) is now working on a new project for ABC — a documentary on male sexuality aimed at both male and female viewers. Actress Theresa Wong, whose last appearance in GP airs this week, has signed on for a role in Nine‘s Paradise Beach. Former Home And Away star Roger Oakley is to make a return to TV playing the part of Uncle “Bum” Bernard in the upcoming ABC series The Damnation Of Harvey McHugh. In the three years since he left Home And Away, Oakley has been busy with theatre roles and a stint in a New Zealand series, Marlin Bay. Sunday: Larry Emdur hosts coverage of the Uncle Toby’s Ironman from the Hyatt Regency Resort at Coolum (2.30pm, Ten). In other afternoon sport, Nine has the First Test from Perth and ABC has the Weightlifting World Championships from Melbourne and the South Australian Open golf. Sunday night movies are Father Of The Bride (Seven) and Stay The Night (Ten). 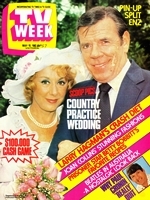 Monday: Leading up to the final episode of the current series of A Country Practice, Seven this week screens classic wedding episodes of the series in the midday timeslot — starting with the 1982 wedding of Shirley Dean (Lorrae Desmond) and Frank Gilroy (Brian Wenzel). Paradise Beach star Kimberley Joseph is this week’s celebrity co-host on Sale Of The Century (7pm, Nine). In A Country Practice (7.30pm, Seven), Claire Bonacci (Claudia Black), the new nurse, arrives in Wandin Valley. Tuesday: In the season final of GP (8.30pm, ABC), Steve (Michael O’Neill) and Su Lin (Theresa Wong) must deal with the pressure of parenthood following the deaths of Steve’s sister and brother-in-law. The Investigators (8pm, ABC), Australia’s Most Wanted (8.30pm, Seven) and Foreign Correspondent (9.30pm, ABC) present their final episodes for 1993. Wednesday: In Hey Dad! (7.30pm, Seven), Sam (Rachael Beck) and Ben (Ben Oxenbould) organise a party when Martin (Robert Hughes) plans a business trip to Canberra. Youth affairs program Attitude (9.30pm, ABC) presents its final episode. Thursday: SBS crosses to Buenos Aires for live coverage of the World Cup Qualifier — Argentina versus Australia (9.30am and repeated at 8.30pm). Mike Willesee presents a one-hour A Current Affair special, Caught In The Act (8.30pm, Nine), exposing consumer rip-offs on hidden cameras and how people are conned in every expect of their daily lives — at home, shopping, the garage and at the pub. Friday: Documentary series Through Australian Eyes (8pm, SBS) presents Fortyish, Female And Feminist — featuring broadcaster Jane Singleton, journalist Wendy Bacon, writer Gabrielle Lord and producer/director Kate Rowe talking candidly about their lives. Source: TV Week (Melbourne edition), incorporating TV Times and TV Guide. 13 November 1993. Southdown Press.